Long a global leader in efforts to reduce nuclear-weapons stockpiles and limit nuclear proliferation, the United States is now fostering the conditions for a new global arms race. With hawks calling the shots in US President Donald Trump’s administration, a nuclear conflagration in one of the world’s hot spots is becoming more likely. 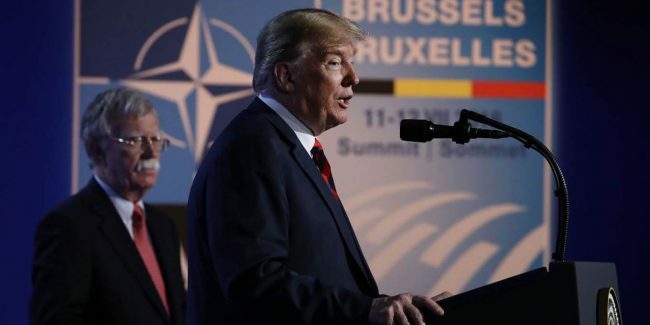 Obama’s successor, Donald Trump, has questioned that key pillar of NATO, departing from almost 70 years of diplomatic tradition. Worse, he recently announced his intention to withdraw the US from the Intermediate-range Nuclear Forces (INF) Treaty with Russia, which has been fundamental in guaranteeing European security since 1987. And though the Obama administration did end up deprioritizing nuclear disarmament over time, Trump seems to have replaced that goal with its polar opposite: rearmament. To be sure, bilateral agreements like the INF Treaty – an artifact of the late Cold War – are no longer sufficient in today’s multipolar world. While the US and Russia are forbidden under the treaty from possessing land-based missiles with a range of 500-5,500 kilometers (300-3,400 miles), an estimated 95% of China’s missile arsenal now comprises precisely such weapons. With the steady collapse of the international arms-control architecture has come a fresh race to develop new types of nuclear weapons.During Trump’s first year in office, his incendiary public exchanges with North Korean leader Kim Jong-un brought relations between Washington, DC, and Pyongyang to their tensest point in decades. While Trump has since abandoned his threats of “fire and fury” and given diplomacy a chance, his administration’s approach to North Korea has ignored all of the canons of effective diplomacy. This has given rise to another kind of frivolity: the spectacle of vacuous praise. In the end, the lack of consensus among US foreign policymakers and the misaligned expectations of the two negotiating parties, combined with Trump’s own improvisations, condemned his recent summit with Kim to failure.